By Leah Dobrinska. Nov 10, 2016. 9:00 AM. Eric Gill was a sculptor and engraver who is now best known for his scandalous personal behavior alongside his spiritual art. Gill remains a controversial artist. As his biographer Fiona MacCarthy so aptly puts it, “Does consciousness of artists' reprehensible behaviour (Gill, [today,] would no doubt be in prison) put up a barrier between the viewer and the work? 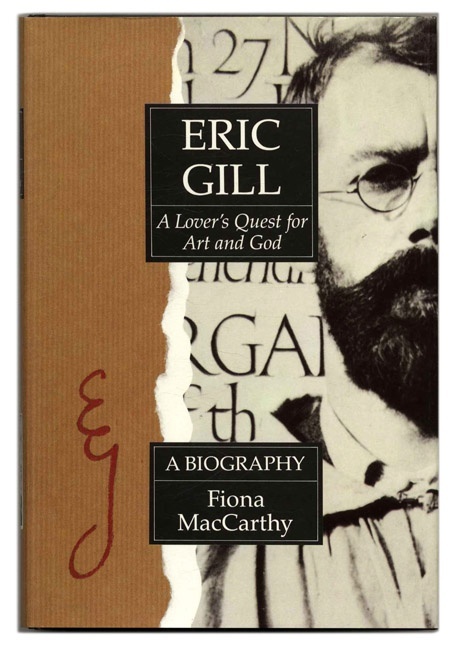 Or does knowledge of the artist's life, fallibilities included, amplify and enrich our understanding of the art?”* While that question may be one each individual must answer for him or herself, for those interested in the work of Eric Gill, what collectibles should you seek out? 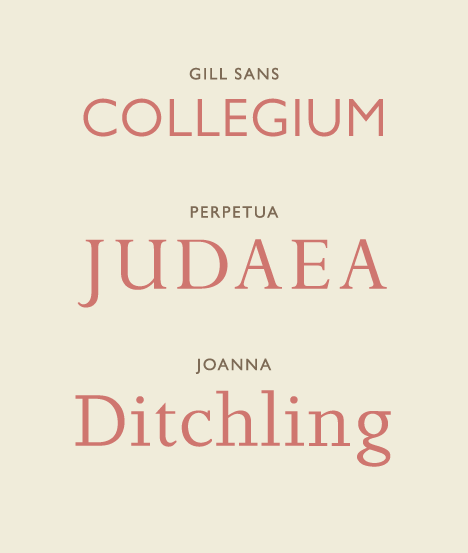 Along with his sculptures, Eric Gill is remembered for his contributions as a type designer. Indeed, he is behind some of the most common typefaces still used today including Gill Sans, Joanna, Perpetua, and Aries. For collectors, An Essay on Typography is handset in Gill’s Joanna typeface. First edition copies are rare as they were limited in number to 500, and signed by both Gill and his son-in-law Rene Hague. Published in London by Sheed & Ward in 1931, these limited first editions in fine or near fine condition will cost close to $2,000. For an interesting example of Gill’s thought-process as well as more of his typeface, collectors can check out Clothes: An Essay upon the Nature and Significance of the Natural and Artificial Integuments worn by Men and Women. Printed in Perpetua type, this work includes ten wood engravings by Gill. Like his Essay on Typography, the first edition of Clothes was published in 1931 in a limited print run. Jonathan Cape printed 160 copies that were then signed by Gill. Depending on the condition and other association details, signed, first edition copies of Clothes will sell for a couple hundred up to a couple thousand dollars. 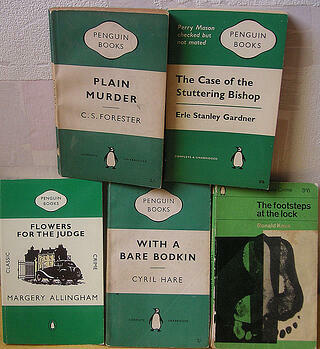 Gill Sans, the iconic typeface developed by Gill in 1928, was used on Penguin Books covers beginning in the mid-1930s. Some collectors may find it especially rewarding to seek out these early books with Gill Sans displayed proudly on the front cover. Gill also completed some typeface as well as illustrations specifically for the Golden Cockerel Press, and these books make valuable additions to one’s collection (see below for more details). For those collectors interested in Gill’s art and illustrations, we’d draw your attention to Engravings by Eric Gill: A Selection of Engravings on Wood and Metal representative of his work to the end of the year 1927 with a complete Chronological List of Engravings and a preface by the artist. This collection was published by Douglas Cleverdon in Bristol in 1929 and limited to just 490 copies of which 400 are numbered. This is a pricey collectible with its nearly 150 engravings. Depending on association, condition, and other inclusions, these first editions sell for anywhere from $5,000 to $30,000 for a de lux edition with an extra suite on Japan. Copies of the aforementioned Engravings by Eric Gill contain his illustrations for several Golden Cockerel Press books. But collectors who aren’t able to spend thousands of dollars acquiring this one book or who’d like to see the illustrations within the Golden Cockerel works may prefer to look for individual Golden Cockerel Press publications that include Gill’s art. You could start by looking for copies of Passio Domini Nostri Jesu Christie, published by Golden Cockerel Press in 1926. This book includes initial letters and six wood engravings by Gill. It was limited in number to 250 first editions, so they are still expensive to acquire. A collector should plan to spend around $2,500. Other Golden Cockerel Press books with Gill illustrations collectors could look in to acquiring include The Constant Mistress (1934) The Green Ship (1936), among numerous others. Happy exploring! *Source here. **Image source here.